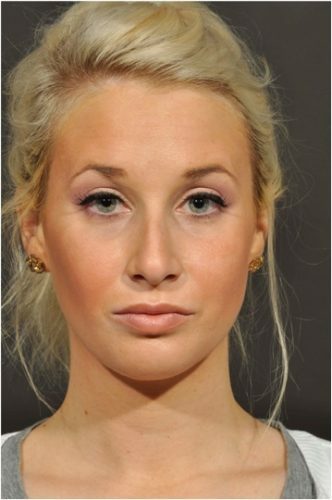 This is a 25 year old woman with a prominent nose. 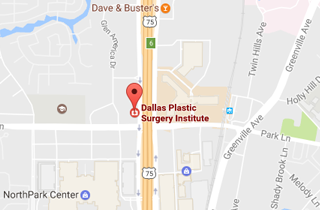 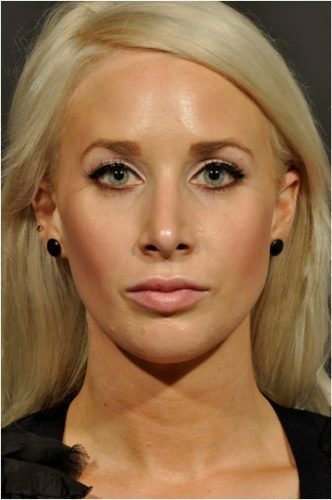 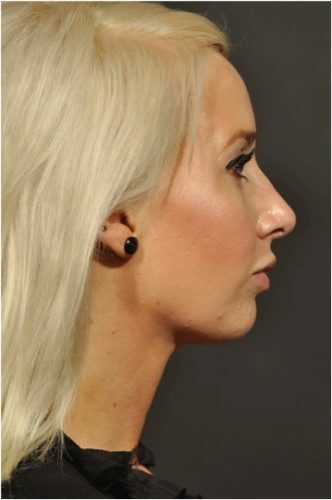 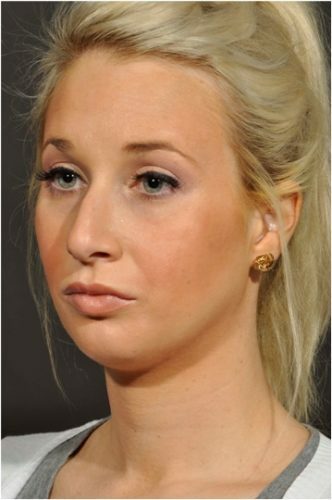 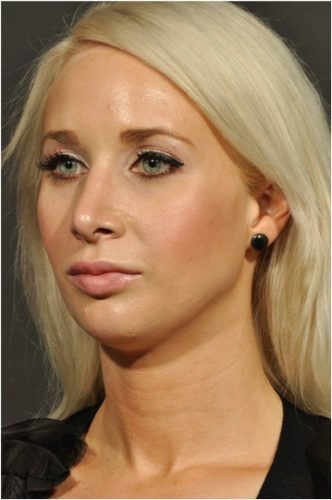 She underwent nasal surgery rhinoplasty, with removal of the hump from her nose, as well as reshaping and elevation of the nasal tip. 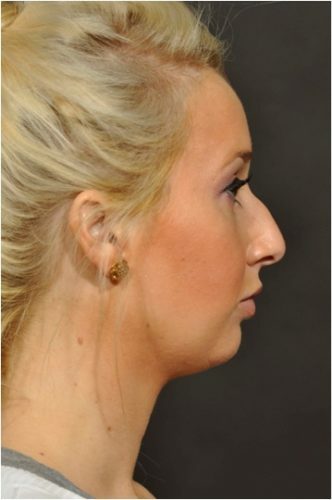 She is seen 6 months after surgery with a dramatically different-appearing nose.